But if you are on this site because of some bad choices that you have made in the past, let’s see what is able to be done to put things right now and how hypnotherapy may be able to help you do that. STRESS -If you want to avoid a heart problem take note that a major study lent support to the idea that chronic stress can increase your risk of heart attack. So it makes sense to learn how to remove stress from your life and learn how to relax. 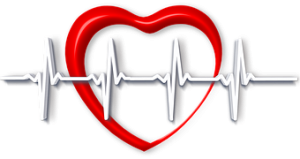 And, if you look at one of my client studies under the article ‘Arrhythmia‘ you will see that this happened after a heart attack and we used the mind to put him back on track to a normal heartbeat without surgery – and that was 16 years ago. Mind, he was a special man whose attitude helped tremendously.